A month ago, I shared with you a bit about my childhood baon. I also showed you my own version of a quick sandwich using Lady's Choice's Roast Beef Spread. Today though, I'm back with a more interesting sandwich recipe. But this time, I'm using the Chicken BBQ Spread. Yes, I opened my jar already! Haha! This recipe is actually by Lady's Choice, but as always, I added some ingredients and tweaked some to my preference. I do this with every recipe I recreate, since cooking and making food for yourself should always suit your liking. v(*’-^*)-☆ Of course, I wouldn't do it if it's a baking recipe. Haha! Unless I'm already confident in my baking skills, which I'm clearly not. Not in many, many, many years. Lol! Anyhow, I made this special sandwich just yesterday, and it's tasty and not as guilt-inducing as well! It's perfect for merienda, but can also be eaten as a meal in itself. To be honest, I had two servings for brunch and it was more than enough to keep me fueled until later in the evening. So before I start rambling some more, let's go straight to the recipe! Season chicken breast with salt and pepper (optional), and boil in water until cooked. When done, let cool and shred. 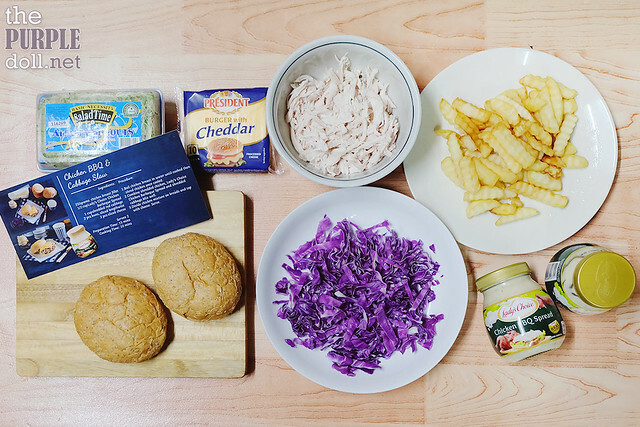 Combine shredded chicken, Lady's Choice Chicken BBQ Spread, and shredded cabbage. Add alfalfa sprouts if desired (optional). Mix well. 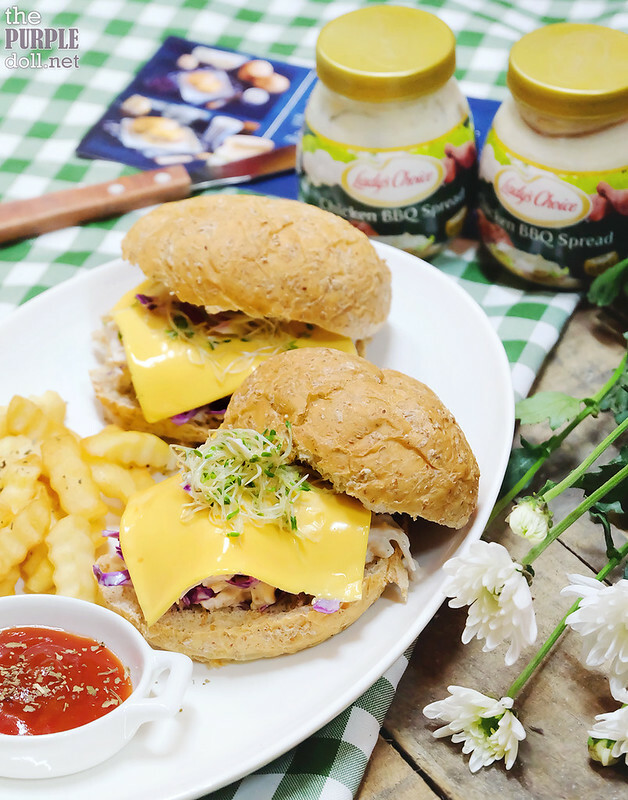 Divide chicken mixture on breads and top with cheese. Serve as is, or plate with fries or chips. Enjoy! 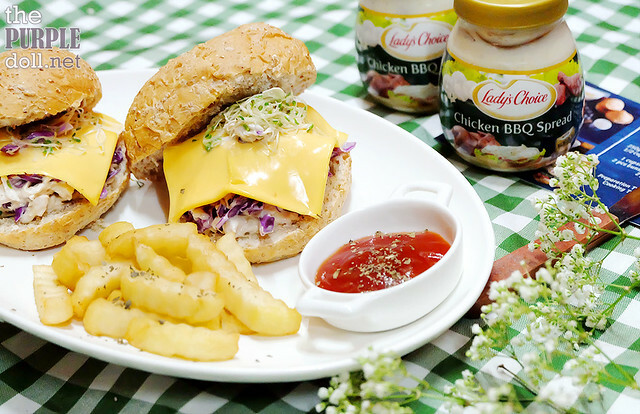 This recipe really makes good use of the Chicken BBQ Spread. 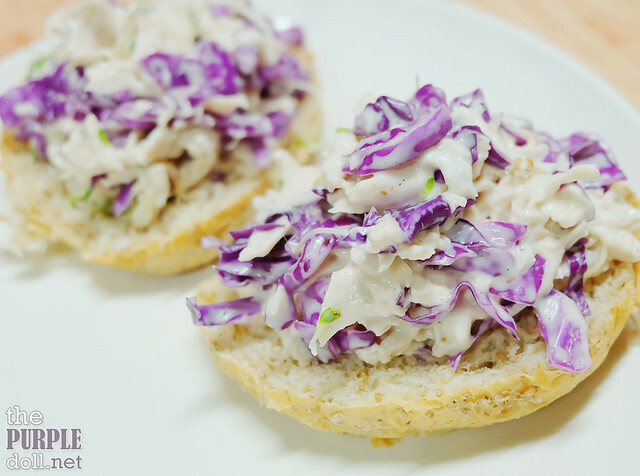 Even if you're on a diet and would want to forego the bread, you can just make the chicken and cabbage slaw and enjoy with your favorite greens as a salad. I'll also be trying to use the leftover chicken mixture with some spiral pasta to make a chilled pasta salad. Isn't it so versatile? This looks absolutely delicious.I like this recipe and your presentation is also good.I will try this soon.Thank you so much for sharing the wonderful recipe.